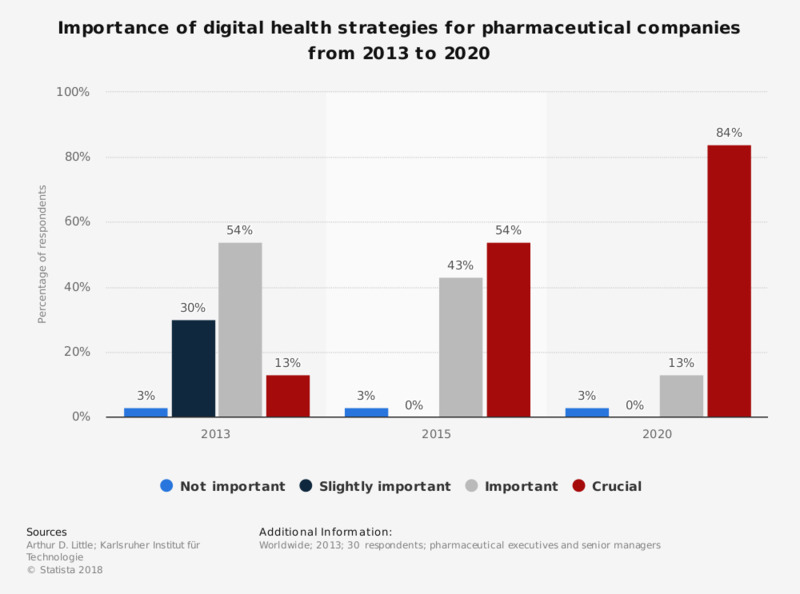 This survey displays the importance of digital health strategies in 2013 and 2015 and their importance for pharmaceutical companies in the future, in 2020. Some 54 percent of respondents said that a digital health strategy will be crucial for pharmaceutical companies in 2015. Original question: "How important is a Digital Health Strategy and how important will it be for pharmaceutical companies in the future from 2013 to 2020?"